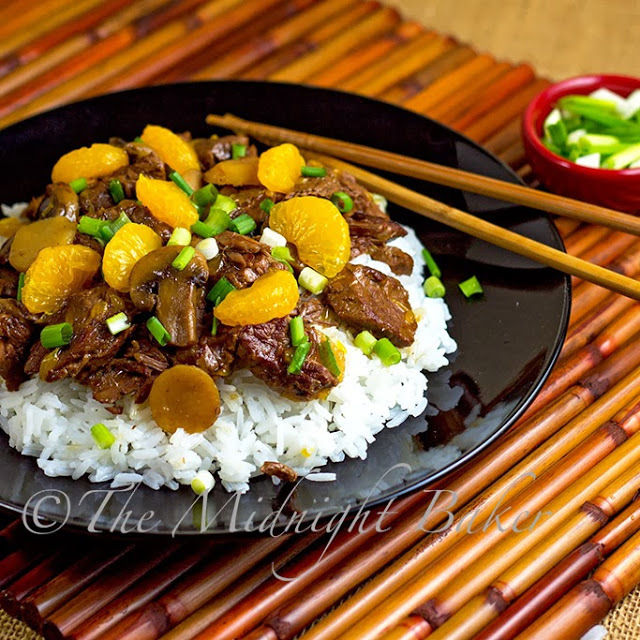 An economy cut of beef and long slow cooking produce this great flavored Asian beef stew. I start by saying I am not a great fan of slow cooking. Probably because I was never a stew lover. Yep, I use it for soups and there are a few things I like to cook in it, but I’m far from a slow cooking expert. Somehow I ended up with 3 slow cookers–go figure!?!?!? Every time I see them I say to myself, “I really HAVE to use these things,” so I’m making a point to at least try. I’d read somewhere not too long ago that it was possible to do gourmet-style cooking in a slow cooker. In that article, it stated that the problem some people have with this cooking method is everything seems to fall apart, be overcooked and generally uniform in color, no matter what the ingredients. 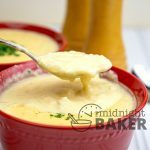 The article went on to say that with a few changes in technique, and yes, a little more work than the old “throw it in, set it and forget it,” it was possible to produce food that remained appetizing in color and taste. In this particular dish, I browned the meat very well in a cast iron skillet. Browning meat is one of the keys here. It produces the caramelization so necessary for great beef flavor. I did the same with the veggies and made sure I deglazed the pan, scraping up all those wonderful brownie bits which is where the flavor is. The orange sections are added right at the very end, as are the green onions–for flavor and crunch. The small amount of onion added in the cooking process is just in there to flavor the resulting sauce. 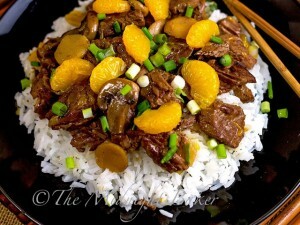 I served this with jasmine rice, and oh boy, was that a good combination. Trim beef of visible fat. Slice in ¼-inch slices. I used the thick, boneless flat chuck roast (it looks like a very thick chuck steak). Line the crock of a 5 qt slow cooker with a cooking bag or spray with non-stick spray. Heat 1 tbs of the oil in a large heavy skillet over high heat. When oil just begins to smoke, at the beef slices, making sure not to overcrowd the pan. Brown well on both sides. Repeat if you had meat that you couldn't fit the first time. 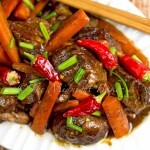 Place browned beef in the slow cooker. Heat the other 1 tbs oil over medium-high heat. Add the mushrooms, water chestnuts and onion. Saute until onion begins to get soft. Add the soy sauce, ginger and the sherry (or mirin), scraping up all the browned bits at the bottom of the pan. 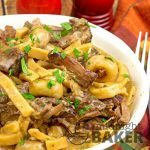 Place the mushroom mixture on top of the meat in the slow cooker. Drain the mandarin orange slices. Set the drained sections aside. Mix reserved mandarin orange syrup with the cornstarch, mixing well. Add the beef stock to the orange/cornstarch mixture; stir well. Pour over meat and vegetables in the slow cooker. Cover and cook on HI 4-5 hours or on LOW 8-10 hours. Mix in the reserved mandarin orange sections immediately before serving. Top with chopped green onion. 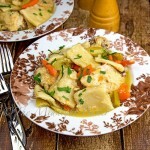 I love that you could make this in the slow cooker! Looks delish. Found you through once a month cooking mom. Can't wait to try this one. You'll really like this one Kristina! Glad you found me! Just wondering when you add the ginger? I didn't see it in the directions. Looks good! Thanks for the head's up alecbear–I'm a terrible proofreader and I depend on great people like you to let me know when I've sorta loused up. You add it with the soy sauce & mirin, and I'll edit the recipe!